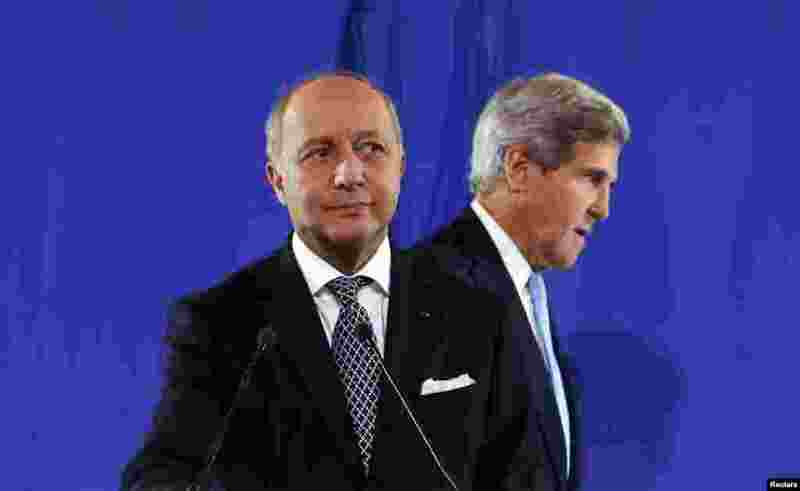 ۱ U.S. Secretary of State John Kerry (R) joins French Foreign Minister Laurent Fabius at a news conference after a meeting regarding Syria, at the Quai d'Orsay in Paris, France. 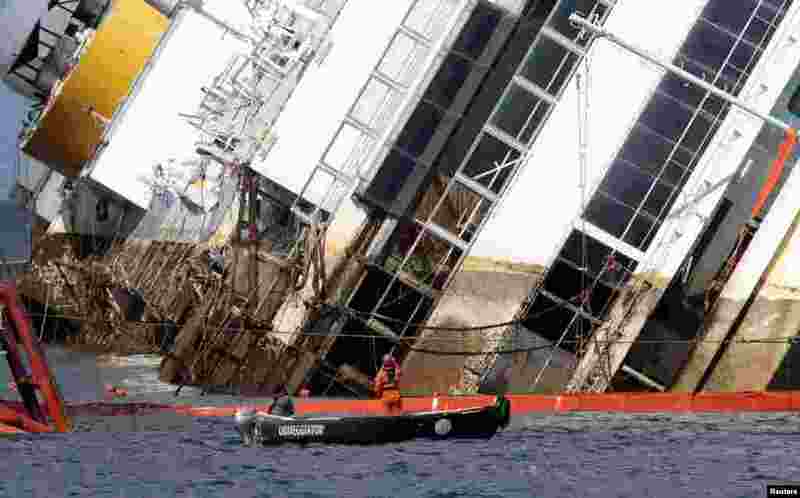 ۲ Salvage crew workers are seen in front of the capsized Costa Concordia cruise liner after the start of the 'parbuckling' operation outside Giglio harbor, Italy. 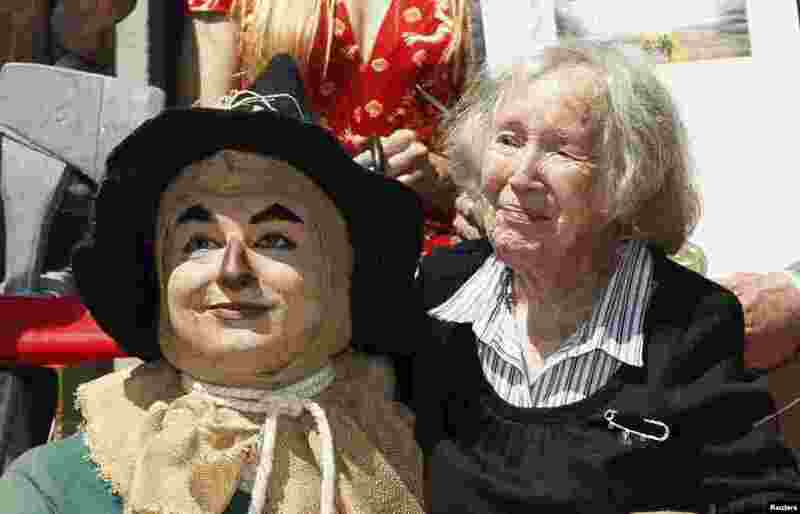 ۳ Ruth Duccini (R), 95, who portrayed the Munchkin Town Lady in the classic film 'The Wizard of Oz', poses with costumed character from the film the 'Tin Man' at the world premiere screening of 'The Wizard of Oz' in Hollywood, California, Sept. 15, 2013. 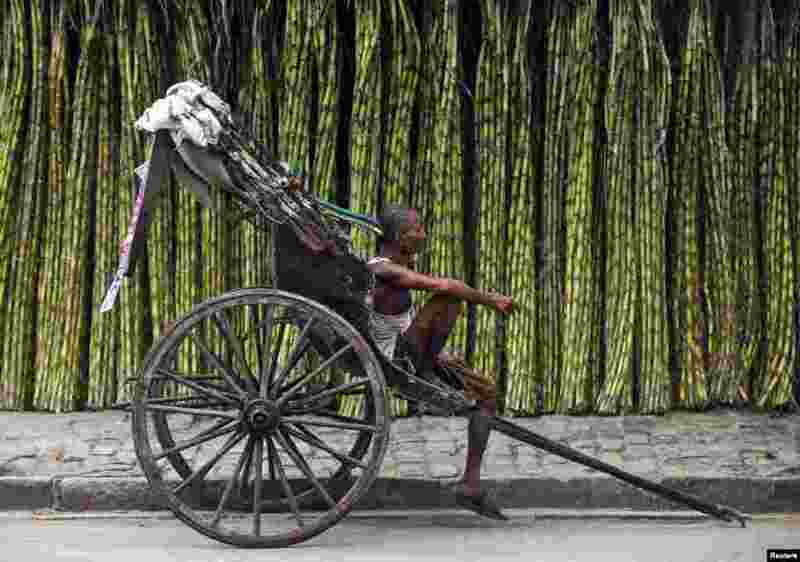 ۴ A hand-rickshaw puller waits for customers at a roadside wholesale sugarcane market in Kolkata. India's sugar output is expected to be 25 million tonnes in the season starting from October, up from a previous forecast of 23.7 million tonnes. 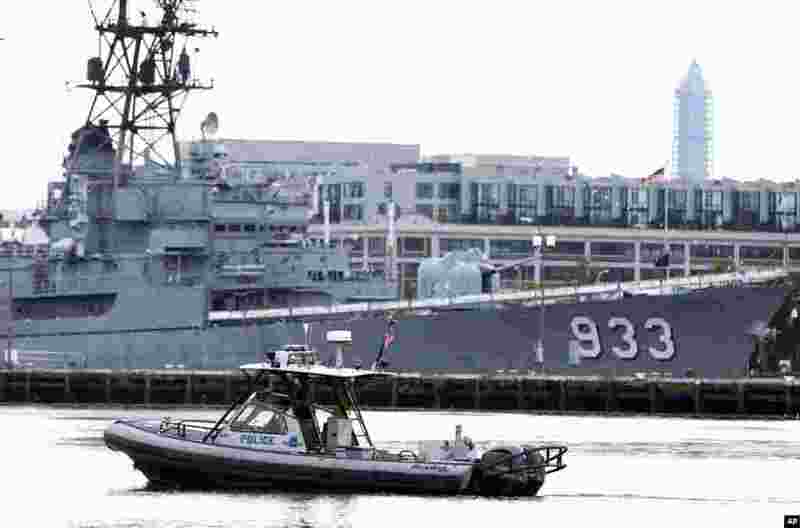 ۵ A police boat patrols near the scene of a shooting at the Washington Navy Yard in Washington, D.C. At least one gunman opened fire inside a building at the Washington Navy Yard. ۶ Miss New York Nina Davuluri, 24, is crowned as Miss America 2014 by Miss America 2013 Mallory Hagan in Atlantic City, New Jersey, Sept. 15, 2013. 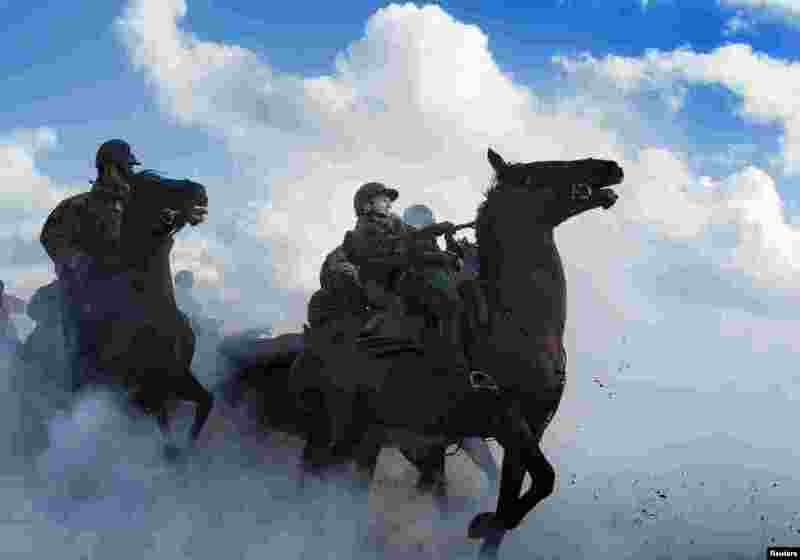 ۷ Members of the Dutch Royal Guard of Honour guide their horses through thick smoke during a rehearsal ahead of the Dutch 2014 budget presentation, at the beach of Scheveningen, Netherlands. 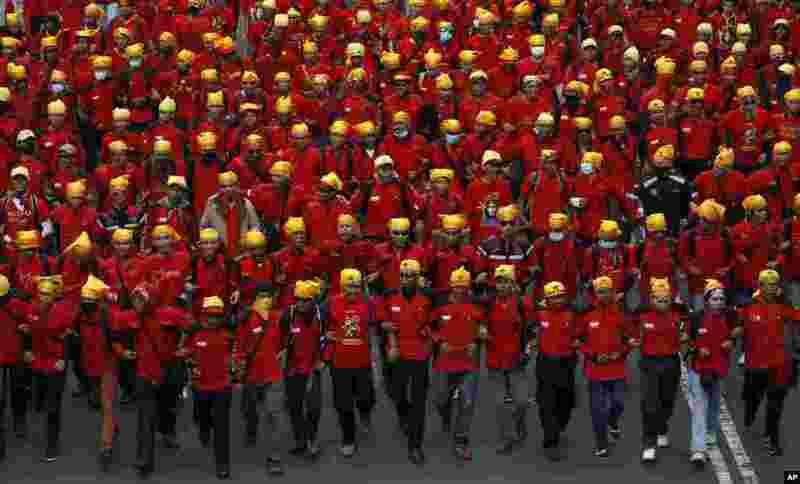 ۸ Indonesian workers march during a rally against cheap wages in Jakarta. Thousands of workers staged the rally demanding the Jakarta government to set a new regional minimum wage at Rp. 3,7 million.